Self-closing, heavy heads approx. 30 cm tall. With outer leaves the heads can be kept for several weeks in a cool storage place. 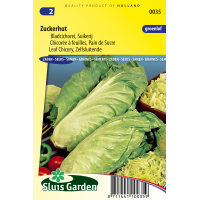 Popular with amateur gardeners, as it is much easier to cultivate than chicory. The light yellow inside of the head has a mild taste. 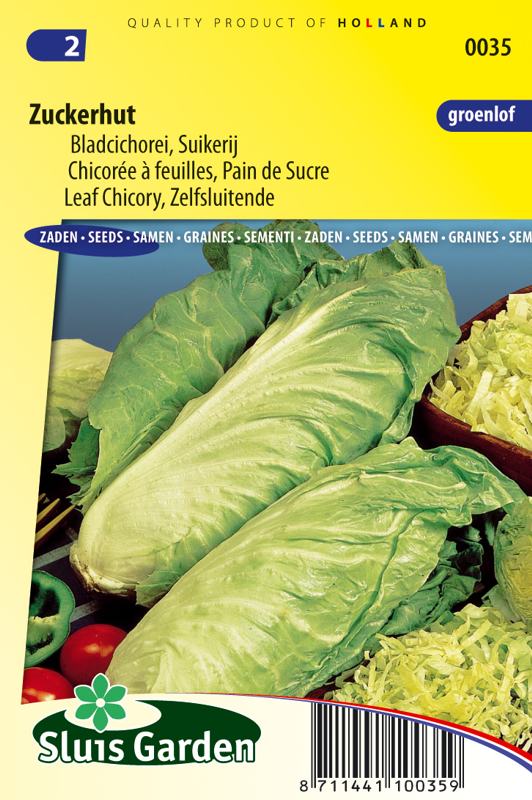 Leaf chicory is closely related to endive and chicory, and can be eaten both raw and cooked. It is best to sow between mid June and late July in final spot at line distances of approx. 30 cm. After emergence in the lines, thin out at approx. 15 cm.